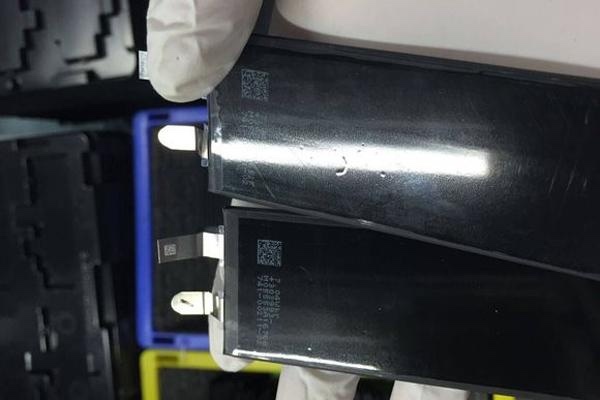 We've already seen several alleged part leaks for the next-generation iPhone 7, and now Chinese site Digi.tech.qq.com [Google Translate] (via HDBlog.it) has shared images of what is believed to be the battery that will be included in the device. The battery lists a capacity of 7.04 watt-hours, slightly larger in capacity than the equivalent battery capacity listed for the iPhone 6s (6.61 watt-hours) and almost identical to the iPhone 6 (7.01 watt-hours). 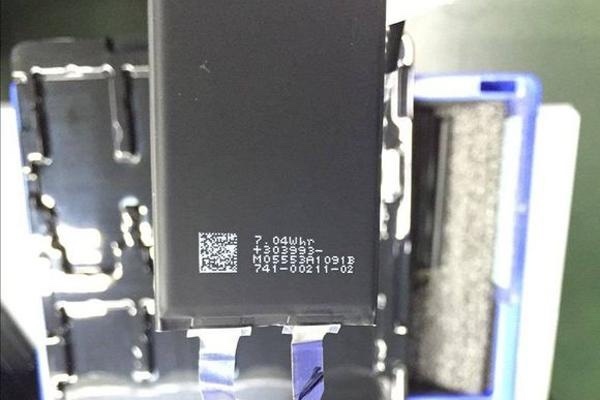 Voltage is not visible on the alleged iPhone 7 battery, so the exact charge capacity is not yet available, but should be similar to the iPhone 6 battery. Rumors suggest the iPhone 7 and 7 Plus will be thinner than existing iPhones, with Apple perhaps making room for the similarly-sized battery by eliminating the headphone jack and cutting down on the extra space around the Lightning port. While we still have several months to go before the iPhone 7 debuts, we've already heard a long list of rumors about the device and we've seen multiple part leaks. The iPhone 7 is said to include a faster A10 chip, a Smart Connector, up to 256GB storage space, stereo speakers, no headphone jack, a thinner design with no rear antenna bands, a faster LTE modem, and dual cameras in the iPhone 7 Plus model. We REALLY wouldn't mind if the device were as thick as the previous generation model, with a bigger battery inside. Samsung listens to its customers with the S7, and then Apple just ignores them and does the complete opposite. Are they serious? People want larger batteries? Just lower the capacity and up it again next year. No one will notice. Buying iPhone 6s Plus is still a good choice. - Removing headphone jack is a no-no. And I don't want an adapter, thank you. - I hate a thin device. iPod touch 6th gen is thin enough, but the feeling when holding it at hand is often strange. - I want a larger battery. Non of those above could iPhone 7 deliver to me. 6s Plus at least is thick enough, and it has a headphone jack. I see that you've really been taken in by Apple's marketing. I couldn't care less about Apple challenging their engineers in useless ways such as making it even thinner than it already is. Agreed. Giving the customers what they want should be a top priority. Obviously you can't please everybody, but I am quite sure that at this point a thinner phone isn't at the top of everyone's wish list. Apple has a vision for what they want for iPhone in the future. By making the each generation product thinner they challenge their engineers. While, Samsung's Galaxy phones are kinda just a frankensteins monster. Doesn't really have future. Yes, make the next iPhone thinner so that more internals protrude through the back of the device. We've got the ugly protruding camera, why not a protruding camera flash or a protruding ambient light sensor or even a protruding accelerometer. A ripple of bumps and lumps on that casing. NO! No more case thinness until the internal components are thinned first.